One Final Bird… Winter Wren! This morning I finally caught up with my latest nemesis bird, that confounded Winter Wren. Kathy Ashman contacted me yesterday to let me know that she’d seen yet another WIWR on the trail at Glenmere Lake (she has been reporting them there and at 6 1/2 Station Road Sanctuary all fall and winter). I’ve tried for this bird many times, but come up empty each time. This morning, as I walked in the freshly fallen snow, I played a hunch. There is a little off-shoot from the main trail, not far from the pavilion. I’d only walked it one other time but I remembered there was much brushy habitat, the sort that Winter Wrens like. As I walked the trail, I could here some bird activity. I pished and several Black-capped Chickadees and a bunch of Dark-eyed Juncos made their presence known. I continued to pish from time to time and eventually I saw a smaller, darker bird disappear into the brush. I tried to keep track of the bird, but I lost it. Eventually it revealed itself, and sure enough it was a wren. But my looks were brief and I wasn’t sure which wren it was. I waited it out; I was begging that bird (in my mind) to come out into the open, and sure enough it finally did! 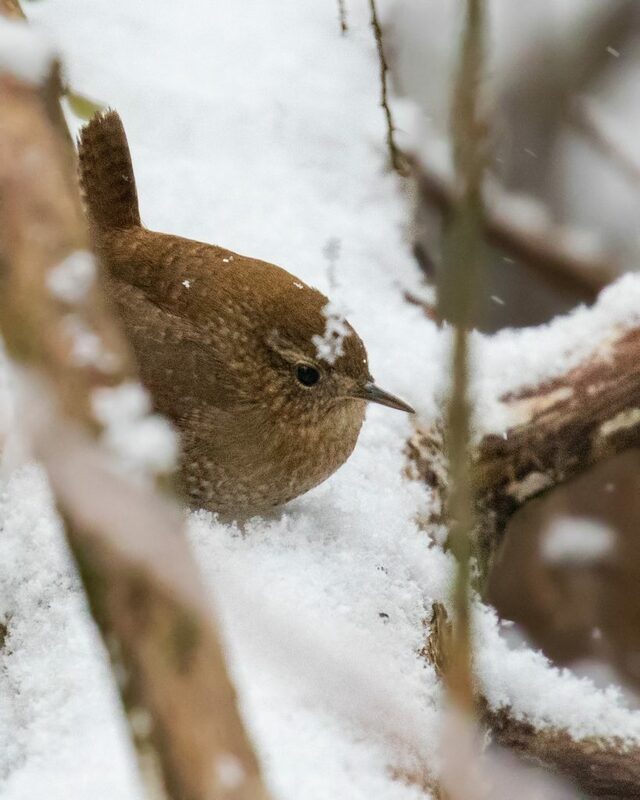 Winter Wren with pics! It’s my 228th species in Orange County this year, so I was thrilled. I spent the rest of the day trying for any possible last minute OC birds for the year. I was unsuccessful, but the birding was pretty darn good. At Wickham Lake, I located two LONG-TAILED DUCKS. It was busy on the lake, as 12 (yes at least 12, maybe more!) Bald Eagles were keeping all the birds on their feet. 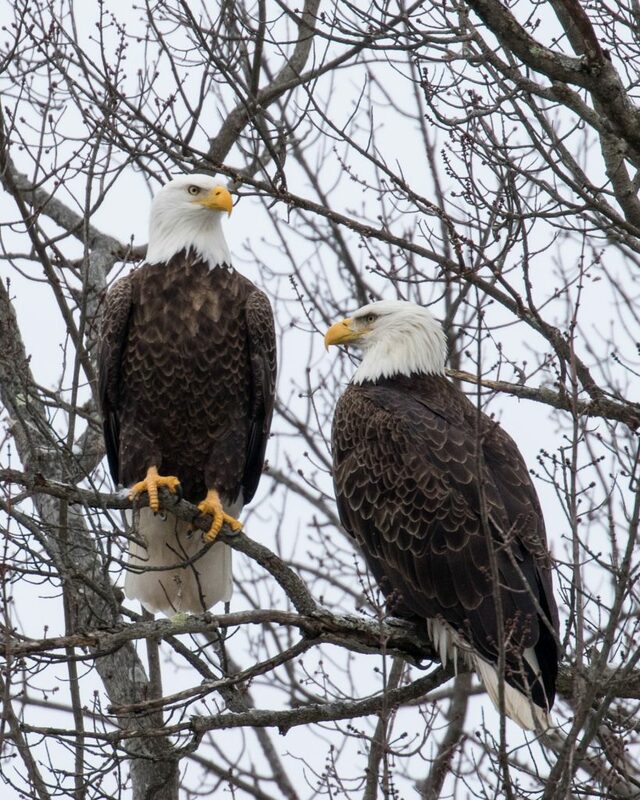 I’ve never seen that many eagles at Wickham Lake before, and I don’t have any explanation for them being there today. From there, I headed to the Hudson River. 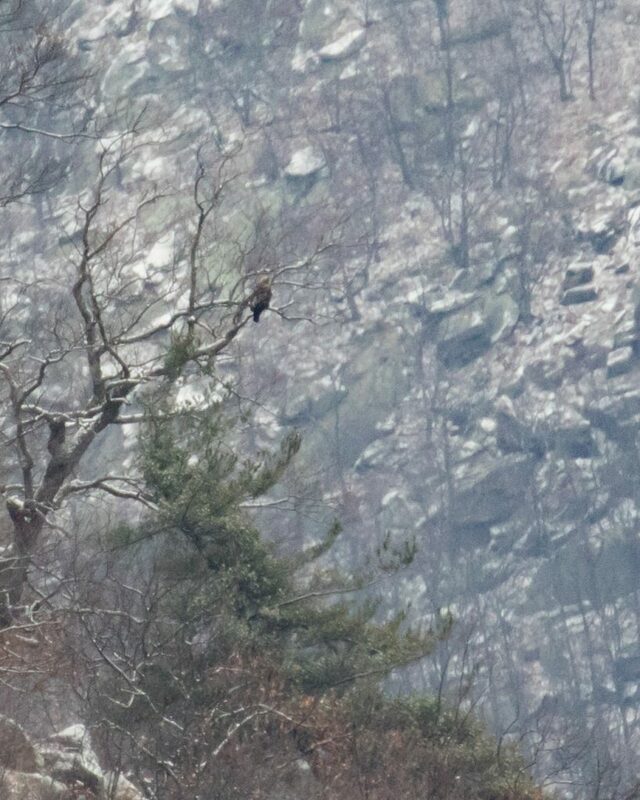 Again, I did not pick up any new birds, but I stopped at the Storm King pull off on Route 9W, and the GOLDEN EAGLE was there, on its usual perch. In Newburgh, I sorted through a decent number of gulls, but only came up with the expected species (Ring-billed, Herring, and Great Black-backed). The best bird there was a single male Red-breasted Merganser, swimming with a number of Common Mergansers. What a great way to end my birding for 2018! Huge thanks to Kathy for helping me with the Winter Wren. GREAT, GREAT, GREAT, GREAT YEAR, MATT – – – – CONGRATULATIONS!!! Congrats on the winter wren! In my quest for a Photographic Life-list, that is a bird I’ve never caught on “film”. So I am duly impressed and happy for you. 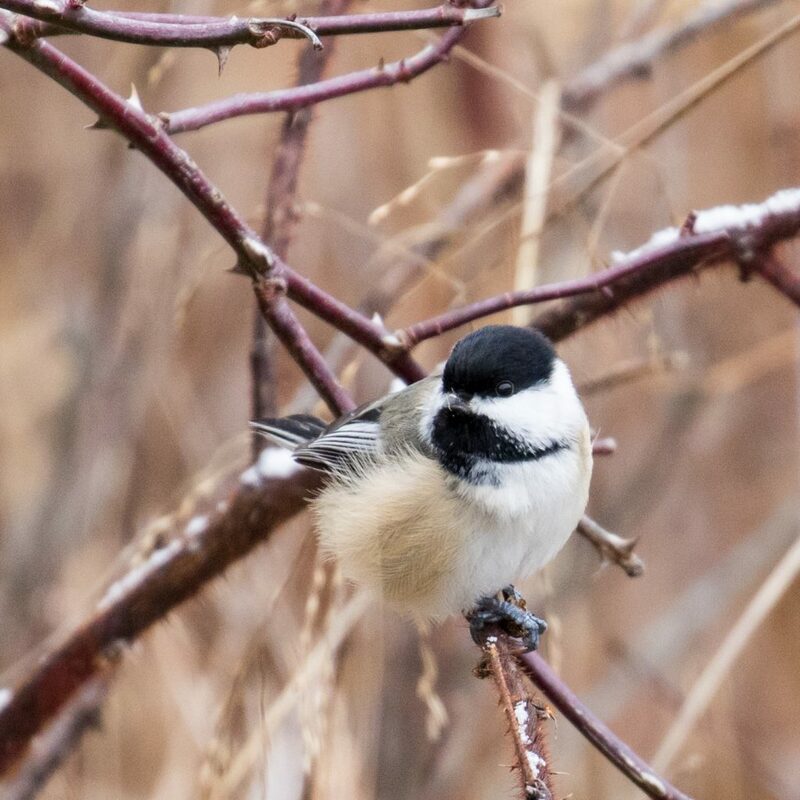 Have a great year of birding in 2019!